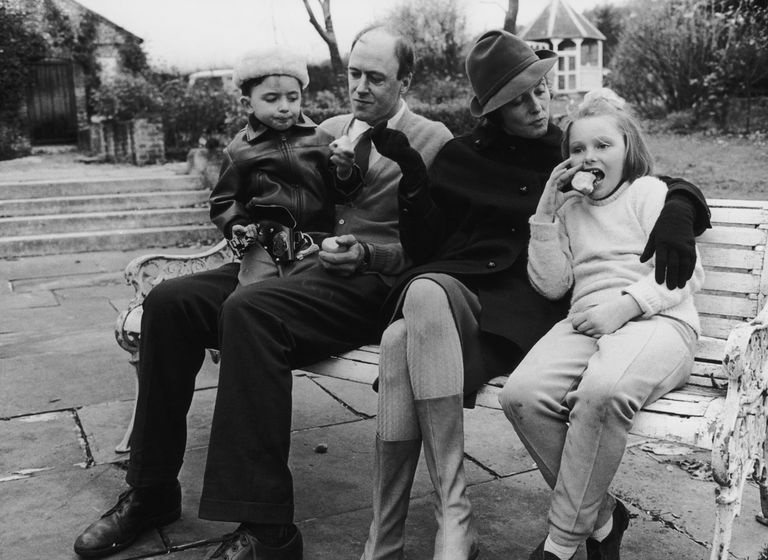 Roald Dahl with his wife, Patricia Neal, and two of their children in 1963. Roald Dahl's numerous chapter books for children have inspired kids for years, and they have also inspired a ton of movies. The most famous of Dahl's books is probably Charlie and the Chocolate Factory, although many of his books have become best sellers. ﻿A movie party is a great motivator to get reluctant readers to dive into a book, so it's great when there are good movies based on books. Also, comparing and contrasting the book and movie helps kids develop important critical thinking, literary, and communication skills. Here are six of the best movies based on Roald Dahl books. These are great for summer book club series, road trips or just for fun. You can spend time with your child talking about the different characters and the differences between the book and movie adaptation. The book Fantastic Mr. Fox tells a clever story about a very sly fox. The movie relates varies slightly from the source materials but highlights the mischievous tale in rustic stop-motion animation. 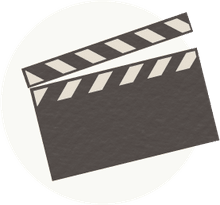 With incredible nuances in both animation style and storytelling, Fantastic Mr. Fox the movie offers a ton of great content for kids to analyze. The distinct color scheme and interesting way of cussing without really cussing, for example, can prompt great discussions. Parents should know, though, that the movie contains a significant amount of cartoon violence and some irreverent language. The movie is recommended for ages 7+ and is it rated PG. Charlie and the Chocolate Factory has delighted kids and adults with a moral-filled story about greedy children in a magical candy factory. The book is magnificently humorous and fun, and it has inspired two movies. Of course, the classic 1971 film starring Gene Wilder, Willy Wonka and the Chocolate Factory holds a special place in many hearts. But the new take on the book is a fun experience, too. Read the book, then watch the movies and see which one your kids like best. The movie is rated PG. A much-loved movie about a very precocious little girl, Matilda tells a tale that is sometimes slightly dark and scary but is also often funny and heart-warming. It's the story of a girl whose genius helps her overcome hapless parents, scary teachers and a mean principal. Kids will have fun discussing Matilda's choices and the lessons she learns in both the book and the movie. The film is rated PG. Poor James has been sent to live with his mean aunts who mistreat him and make his life miserable. One day, a magical thing happens and James finds himself on an incredible journey with a very eclectic set of new friends. The darkly colorful images in the movie give a mysterious and otherworldly feel to the story, making it a great fantasy for kids. Differences between the book and movie allow for great compare and contrast discussions. You can also challenge your kids to come up with a weird adventure of their own by giving them some examples of very unusual vehicles, like the peach in the story, to use to ride away. The film is rated PG. When Luke's grandmother takes him to stay at a hotel in England, he discovers a coven of witches who have a sinister plan: to turn all the children into mice! This magical adventure has some scary images and perilous moments as well as a lot of humor with some masterful puppetry done by Jim Henson Studios. The book, along with others from Roald Dahl, also makes a great play. In fact, many of Dahl's works including The Witches are available in play form. The book also includes ideas for props, sets and more. This cartoon tells the Dahl story of a little girl named Sophie who is whisked away from her orphanage by a magnificent giant, who is, thankfully, big and friendly. She has a magical adventure, but some mean giants threaten to spoil the fun and eat a bunch of children in the process. This film is unrated.